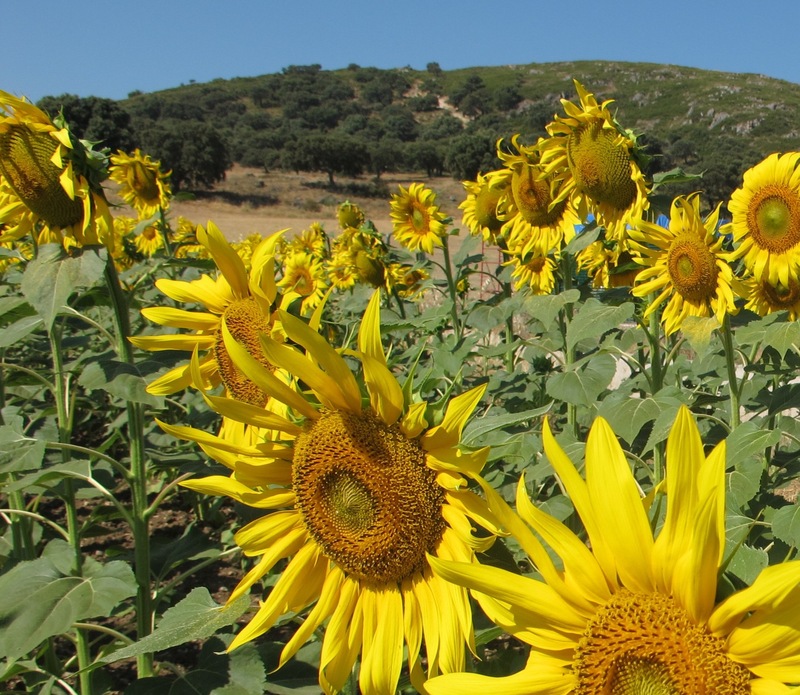 …sunflowers, fields of them, around ever corner. There is something childlike about the way their heads hang in the morning, raising their faces as the sun rises. July 25, 2011. This entry was posted in Nature and tagged Andalucia, living abroad, nature, plants, Sandra Danby, Spain, travel on November 9, 2015 by sandradan1. There they stand, frilled with gold petals, alert to their goddess.